Yu-Chi Ho chair professor group and “Center for Intelligent and Networked Systems” (CFINS) were established in October 2001 to provide a physical and intellectual environment for the intelligent analysis, design, and operation of complex and networked systems such as computer and communication networks, power systems, and supply chains by making innovative use of analytical methods and information technology. The current members of Yu-Chi Ho chair professor group include Prof. Yu-Chi Ho, Prof. Tamer Başar, Prof. Peter B. Luh, Prof. Christos G. Cassandras, Prof. Wei-Bo Gong, Prof. Hou-Min Yan and Prof. Xiao-Hong Guan. With its research team consisting of internationally renowned visiting members from US and Hong Kong and resident members from Tsinghua as well as Tsinghua's top notch graduate students, CFINS provides outstanding opportunities for interdisciplinary research and education that are responsive to the changing needs of the society. The Director of CFINS is Prof. Qianchuan Zhao, and the Deputy Director is A.Prof. Qing-Shan Jia. Currently, there are 28 graduate students in CFINS. The main research directions of CFINS include cyber physical energy systems (CPES), manufacturing systems, smart building, smart city, and supply chains. 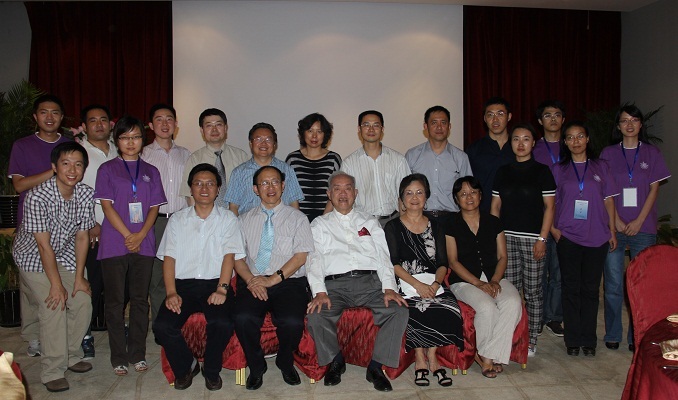 The international cooperation team composed of chair professor group and resident members is continuedly supported by the National 111 International Collaboration Project since 2005 and becomes the first team supported by the 111 project in Tsinghua University and also the first team nationwide in similar subject. World-renowned scholars visit CFINS every year. Currently, more than 10 NAE members, more than 30 IEEE Fellows and many editors in chief of IEEE/ACM Transactions have visited CFINS.